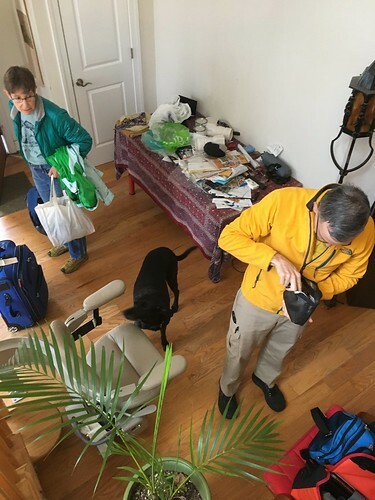 Off to Harrisburg again this morning - this time until Sunday night. Jeremy apologized for being on the road so much, and certainly I'm on edge this week for 10,000 reasons, but I assured him that we would be fine at home as there is important stuff to be done in Pennsylvania this weekend. We went out to Peter Chang's tonight. 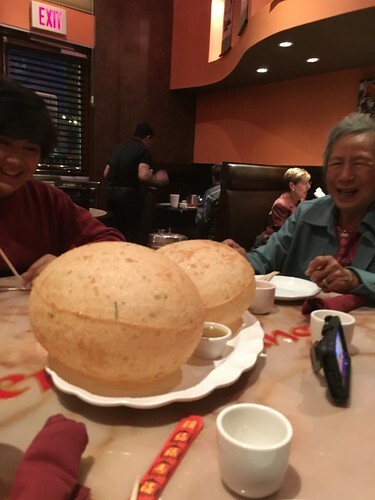 Chinese with a twist - like these scallion pancake balloons which my mom really was entertained by. I can tell my parents liked this place because they took home all the doggie bags. Pip! 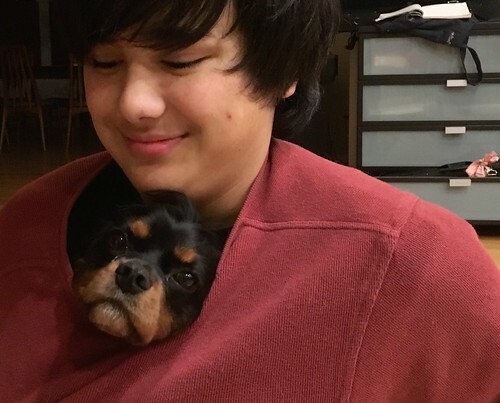 Nothing better to end a long week than to have a dog snuggle in your shirt with you.